This pet is so cute and becoming more popular as a pet. Let’s see if you knew the answer. Q: This small pet is known for its fur. It has 90 hairs per follicle compared to a human having just 1-2 hairs per follicle. Name the pet. 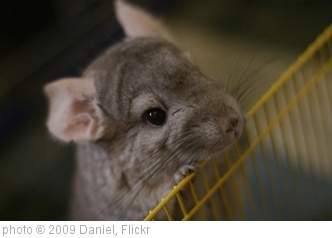 A: That’s a lot of hair so it’s no wonder the Chinchilla is known for its super soft fur, . And with that much hair, they don’t have to worry about male pattern baldness. If you left the right answer, you get an entry into the March Pet Pop Quiz and contest. And be sure to stop by next Monday for another chance. They are cute, but remind me so much of mice. I don’t like mice.